Every once in a while a picture frame comes along that exudes purpose, that is destined to make the most of a cherished memory. This is such a frame. 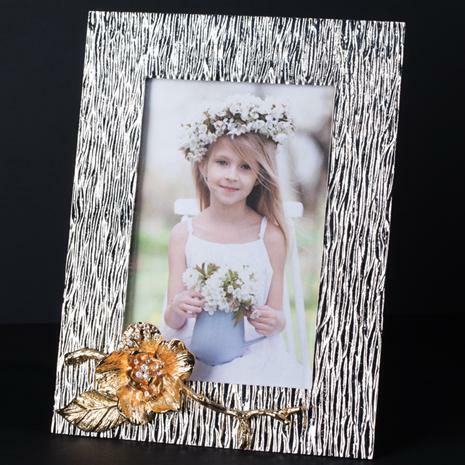 Made of textured pewter, this frame is graced with a handcrafted, gold-finished rose sparkling with crystal detailing. It awaits a treasured 4 x 6 photo to display horizontally or vertically.